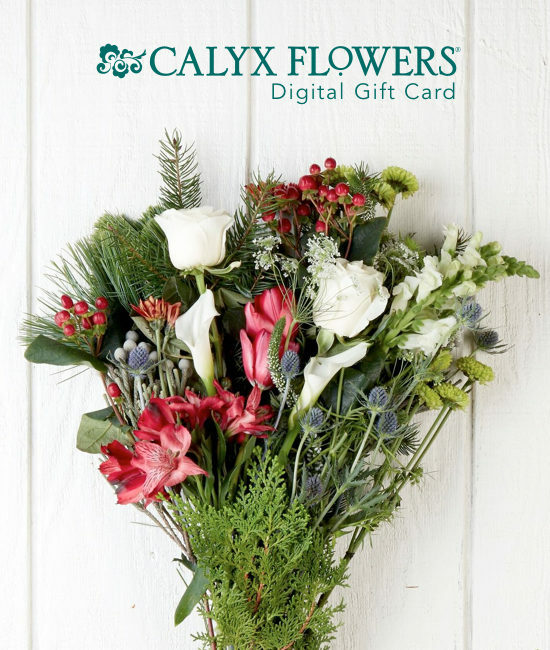 Give the gift of Calyx Flowers! Purchase a digital gift card for your recipient to use toward our entire catalog. They can choose from our luxury Year of Flower Programs, individual bouquets, plants, wreaths, and more. Your eGift card will be sent with a customized gift message so they can shop for their favorite gift.